Roads of Fantasy is a funny rolling racing arcade game. Roads of Fantasy is a funny rolling racing arcade game. 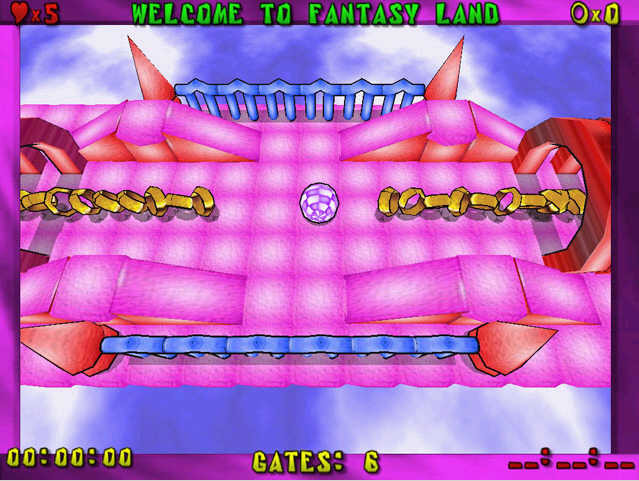 Take control of a ball and go a rolling through the obstacle course you've ever seen! You can control the ball using the keyboard, the mouse or the joystick. Be careful, the obstacles are popping up around every turn. It's going to be a crazy race. Beware of spinning prickles and try not to fall down from the Land station, which hovers in the sky. 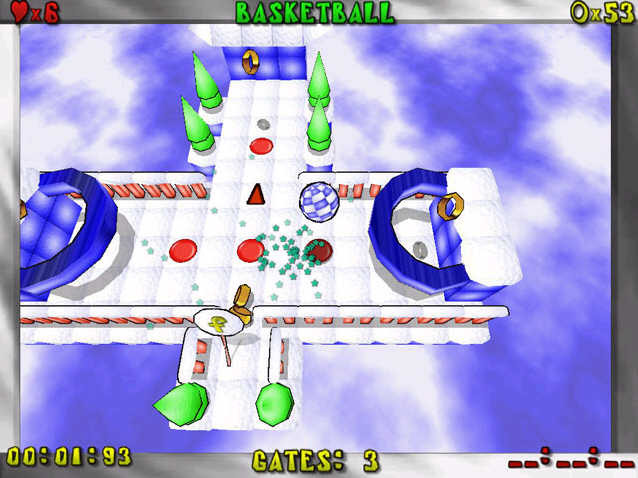 Explore three Lands: Snow Land, Green Land and Fantasy Land. The access to the next Land could be gained only when you win the cup in the previous stage. To do that you should clear the Land. 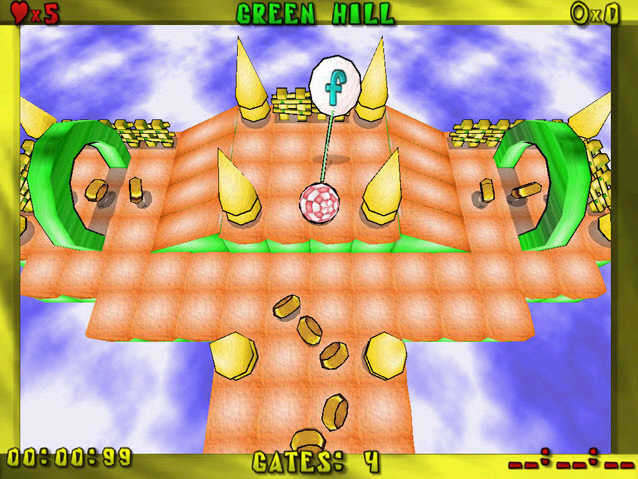 The game includes 3 stage modes: easy, normal and hard. That makes it playable by all ages. After you explore a Land you can play Tournament Game and improve your score and time. The results could be sent to online highscore. If your results are above the average, your name will appear on the winners list. So get ready for a breathtaking rollicking adventure that is captivating, challenging and totally addictive!